OrCAD is multilayered scalable design suite used for electronic design automation (EDA). The software tool is primarily used by electronic design engineers. OrCAD offers advanced capabilities and highly integrated flows to create and manufacture electronic schematics and electronic prints for circuits. The software package is a highly powerful and tightly integrated design technology that includes schematic capture, library tools, and features for routing and editing. The certification includes study about OrCAD Capture, Editor, and PSpice. 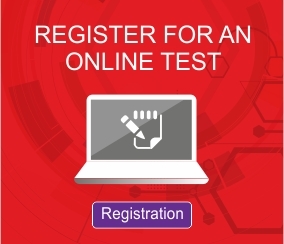 The OrCAD certification test examines the expertise of the candidates in OrCAD tools. It validates the overall knowledge of a candidate in using the OrCAD software and its features. A professional certification from one of the biggest brands in India will help candidates empower their professional profile. With unmatched skills, the CCUBE certified professionals can work as PCB Design Engineers, Verification Engineers, Test Engineers, PAD Designers, and Circuit Test Engineers. CCUBE certified professionals can also register in our job portals for additional employment assistance. Students and industry professionals who have already completed PCB using OrCAD software are eligible for this certification.